I tried to find any info regarding this experience investor, Pui Cheng Wui. It turned out to be quite sacred. I think it's normal unless you always appeared in newspapers or other media. I did manage to find his name in some annual reports for some companies for its ownership. First one is the current hot stock, LTKM Berhad. His name first appeared in the LTKM Berhard annual report of FY2006 with close to 1.5 million shares holding. 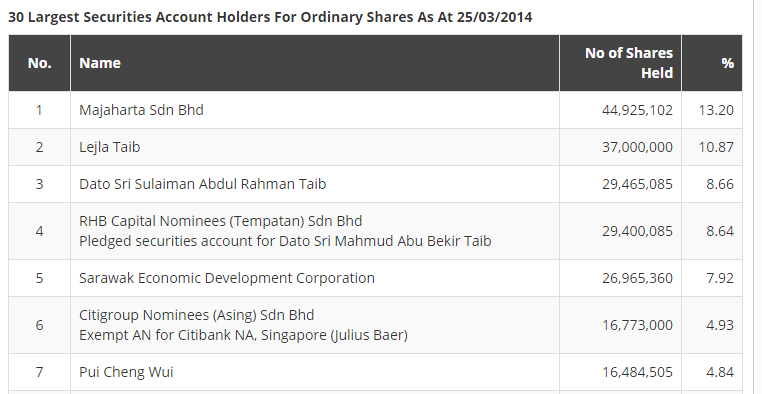 His ownership increased to 1.74 million shares with around 4.23% shareholdings as at June 2009. He sold off the shares between June 2009 and June 2010 as his name disappeared in the FY2010 annual report. Historical price of LTKM in June 2006 and June 2009 were RM1.1x and RM1.1x. Not much price changes. However, the share price thereafter increased to RM1.5x before June 2010. Guess he sold off during that period of time. Apart from that, he also owned Latitude Tree berhad before. His name first appeared in the FY2005 annual report with close to 2.4 million shares. On and off, he sold off and purchased back the shares in open market. His name last seen in the FY2009 annual report with 1.3 million shares with 2.4% ownership. 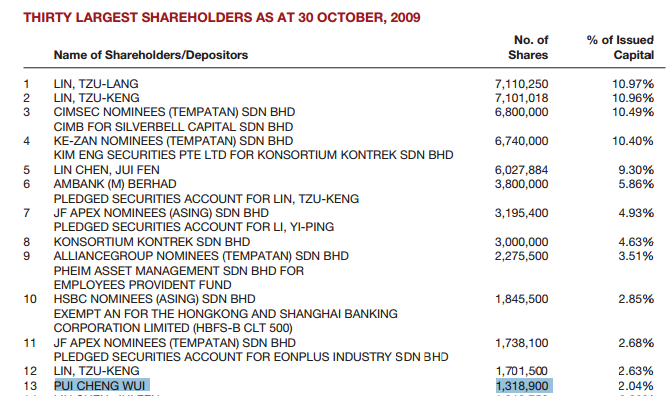 He sold off his shares after that Oct 2009 and the highest share price was at RM1.7x in Mar 2010. Guess he made a handsome profit too. His name first appeared in the FY2000 annual report of Cahya Mata Sarawak. I looked through the shareholding list from AR2000 onwards. 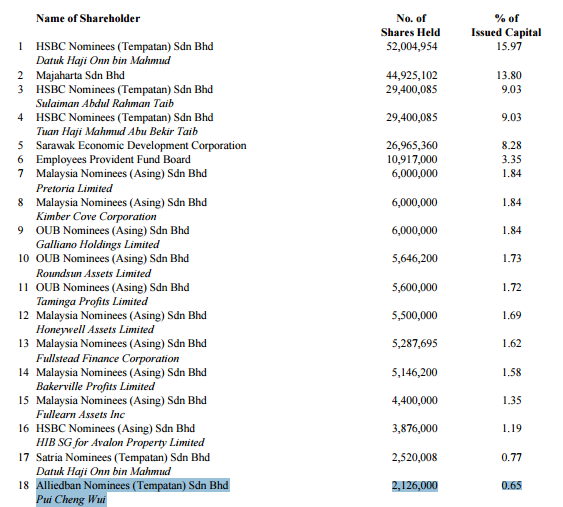 He kept on adding his ownership in this company every year until 16.48 million shares (4.84%) latest as shown in the FY2013 annual report. I guess he still owning until today. He is indeed a living example of a very long term investor. Holding a share in more than a decade is no joke especially investing this amount of money in a political related company. So, I guess he has no intention to acquire ABRIC group from the existing owner as I think he is more to investing rather than doing business. How you can get abric net cash is 0.54? My figure is RM1.14573. Mind to share? I wrote about the calculation in my earlier post. Below is the link.